Not long ago someone wrote to me out of the blue and offered to pay me to act as a consultant to evaluate his tabletop game. 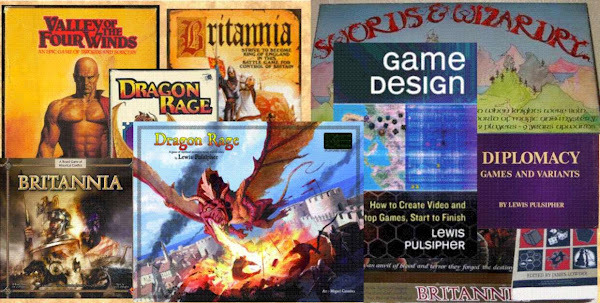 He’d read my book “Game Design: How to Create Video and Tabletop Games, Start to Finish.” He had been working on his game - I assume a tabletop game in the circumstances - for 20 years, and evidently felt that my advice would be worthwhile. However, he was coming from somewhere else to Duke University for a visit, and that’s 70 miles from my location. The game consultant or agent is in the same legal situation as a publisher, facing the possibility that someone will become litigious if the consultant/agent/publisher is associated with publication of a game that could in any way be misconstrued as similar to the game that was submitted to them. One reaction to that is a release agreement which the designer must sign before the consultant/agent/publisher will look at the game. This release agreement essentially says that even if the game is published later that is very close to the one that was submitted there is no legal liability. That’s because even though (in United States law) game ideas cannot be copyrighted, there are many novice designers who will spend money anyway to start a lawsuit, even though they don’t have a hope in hell of succeeding. And there are lawyers willing to take someone’s money to do something even though they know they don’t have a hope in hell of succeeding. (All you need to do is look at the ridiculous “games” and game ideas that are patented (all available online) to recognize how many lawyers are willing to take advantage of “game designers”.) Defending against that lawsuit costs money. But is evaluation practical otherwise? And if that’s true, a consultant or evaluator is of more limited use than you might have thought at first. My general advice about game evaluators is the same advice most people give about job head-hunters. If a headhunter wants money up front, he’s probably not really legit, it’s more likely a scam. Good headhunters are paid by the hiring company when they find someone who fulfills the company’s needs. Similarly, a good agent (or evaluator, or marketer) will get his money as part of the successful licensing when your game is published. Many “evaluators” offer to evaluate your game for a fee, and perhaps list it on some website that publishers will never look at. Once again, I don’t recommend any evaluator who wants money before you are paid by a publisher. I am not sure how much I talked about consultants in the book. My usual statement is something like "you won't make enough with a tabletop game (barring fantastic luck) to make consultants, agents, or even lawyers worthwhile (unless you're completely 'at sea' about contracts and law)." I also say that even publishers have trouble recognizing good games (just as book publishers have trouble recognizing good books, sometimes). So I cannot pretend to be able to tell you how good your game is. Moreover, it's difficult to evaluate some games without playing experience, which requires both time and players. Furthermore, just as many publishers won't listen to any idea about a game without legal protection, I'd have to require you to sign an agreement that released me from any liability should I later publish/have published a game with any similarity to yours. Not that I would, I have many dozens of games in various stages and rarely start a new one, but the legal protection has been shown to be necessary. That's also why I have the following statement on my Website: "Disclaimer: occasionally people send me unsolicited ideas or concepts for games. Be aware that when you do this you acknowledge that I may use your ideas in any way I wish without legal obligation. (I'm unlikely to do this, but I may have the same idea already, and I have no desire to be sued by someone who doesn't realize that ideas are not protected by copyright law in any case.)" So I generally don't act as a consultant for a variety of reasons. Moreover, Duke is about two hours away from my home, a consultant has to charge for travel a well as "face time". So I'm trying to talk you out of the idea in a variety of ways. It's more important to get a large variety of people to play the game, watch them, listen to them, than to talk to any "expert" about it. Evidently I convinced him, as I did not hear from him again. What about asking your friendly neighborhood game designer for advice about your game? If a game is “out in the open”, e.g. at a game club, then you would hope that any observer who happened to see it would be unlikely to be sued. If the meeting is a game designers’ meeting intended to enable designers to get advice from other designers, one would hope that any suspicion of “stealing” ideas would be gone. Unfortunately, given the extremely litigious climate in the USA, and a court system where anyone willing to spend money can get a day in court even when their situation is hopeless, caution is necessary. So why use an agent? To approach Hasbro or some German publishers you must go through an agent. The publishers use agents to winnow out all the obviously bad games that the publisher would otherwise have to deal with. (There are thousands of wannabe designers who think that if they slightly modify Monopoly or Blackjack or some other well-known game they’ve got a great idea. A glance at patented games will show you lots of worthless ideas people come up with that they think are so valuable they spend $3,000-$10,000 patenting the idea.) Last I knew there were about 300 designers who could approach Mike Gray of Hasbro directly, rather than through an agent - but you probably aren’t one of them. So an agent can be necessary in some circumstances, though not most. Literary agents are much more common than game agents - most fiction writers have an agent. They function the same way in the book business as for games, saving the publisher from many books that otherwise hit the “slush pile”, manuscripts by unknown writers submitted to the publisher. (Publishers hire someone from outside the company to read the slush pile; in many cases, the reader can tell a book isn’t suitable after reading a page or two.) I may be out of date, but last I knew a literary agent tended to take 10% of what the author made. Game agents are likely to take much, much more. When I lived in England, knowing little about the publishing situation there (this was long before the World Wide Web, in the late 70s), I did use an agent to place my first game with H. P. Gibsons, which was a major game publisher at the time. (They later were the original publisher of Britannia after Avalon Hill rejected it with “games of this era don’t sell”, but this was for Swords & Wizardry, a somewhat Stratego-like game.) That cost me 50% of the proceeds, but in the circumstances it was worth it. As it would be to get a game published by Hasbro. So for most beginning designers, evaluators, consultants, and agents are to be avoided.